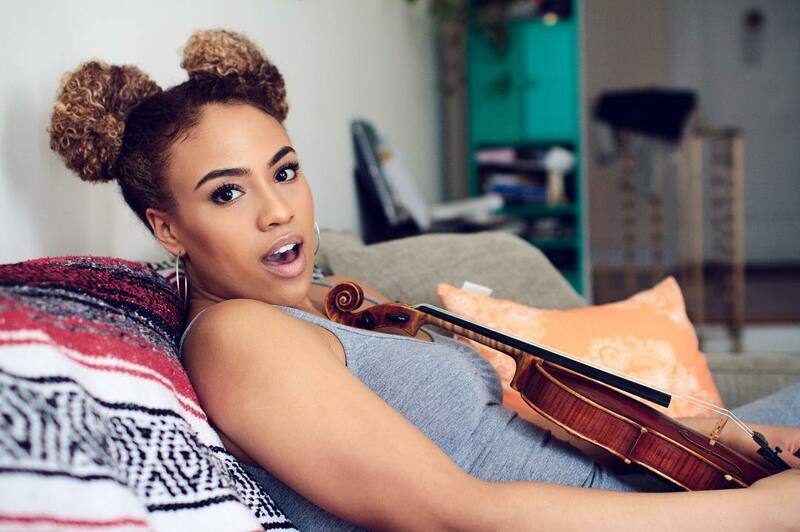 Born in Nebraska and currently residing in New York classically trained violinist Ezinma Ramsay caught our eye with the infamous #MaskOffChallenge on Instagram - where people would try there best to play an instrument along to Hip Hop artist Future's breakout hit "Mask Off". Sifting through the pretenders and contenders Enzima's rendition of Mask Off was spot on and creative. The way she floats on the beat with her skillful use of the violin making the hard-hitting Metro Boomin' instrumental sound graceful. Setting her apart was her passion and intensity along with her impressive career. With a YouTube page of over 3,600 subscribers, over 5,000 twitter followers, and nearly 60,000 Instagram followers Eznima isn't new to this attention. The acclaim is warranted with covers of hits like Kanye's "Famous", Justin Timberlake's " Cant Stop The Feeling", and Rhinna's "Work". Eznima has played in orchestras at Carnegie Hall and Madison Square Garden also working with such artists like Beyonce and Stevie Wonder. She has made her mark in the industry. Enzima's debut single "Elevate Me" is currently on her SoundCloud and we can't wait to see what she has line up next from incredible covers to her original work.